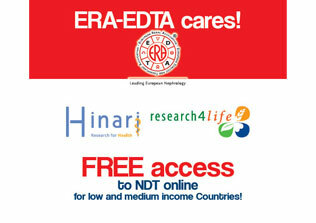 1963 - The Birth of ERA-EDTA! In the 1960s Drs. 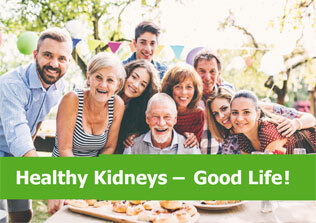 Stanley Shaldon, William Drukker and David Kerr saw that the future of the specialty of Nephrology would need to show more interest in the technical aspects of treating humans rather than just academic interest and animal research. There was no forum in the treatment of kidney failure other than transplantation – that was surgical and not very advanced as yet. At the time there was no universal concept for future treatment, only to keep patients alive and selected patients were on treatment for selected transplants. New treatment techniques needed to be developed for the treatment for chronic dialysis patients, thus to keep people alive for a period of time and not just to prepare them for transplantation. The idea to form a European Association for Dialysis was conceived during an International Symposium on Acute Renal Failure organized by Shaldon at the Royal Free Hospital on September 2, 1963 where Kerr suggested to Shaldon that there should be an annual Symposium on Dialysis drawing together nephrologists all over Europe (see figure 1). Shaldon confirmed that also Drukker, whom he had met the previous year at a meeting of the West European Clinical Chemistry Society, had made a similar suggestion. The three therefore decided to create a society the name of which was, originally, the “West European Dialysis Association” (WEDA) that included Holland, West Germany, the UK, Belgium and Scandinavia. France was also asked to join, indeed it had been Jean Hamburger who invented the word Nephrology, but it refused since, at the time, the French government was against NATO and they thought that WEDA was a NATO conspiracy, as well as thinking that transplantation was the concept for the cure of kidney disease, thus not dialysis. 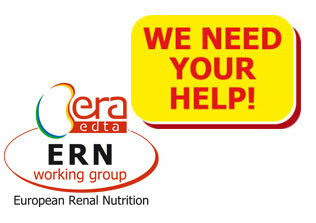 The three EDTA founding members were not interested in transplantation as such but there was still an interest in some countries for this specialty, so they thought that the future was actually a mixture and interest of both dialysis and transplantation which was indeed essential for the long term survival of patients. Hamburger entertained the three founding members to a fantastic dinner in Paris and we agreed, after a lot of discussion, to change the name to EDTA which was the acronym for a compound used in the treatment of lead poisoning (Ethylene Diamine Tetra-Acetic Acid). Hamburger was not happy as he objected to the “T” (Transplantation). However we decided to go ahead and in a compromise with Hamburger we agree to make the society bilingual (English and French). It remained so for a few years: during the first 9 years of EDTA papers were published and presented both in French as well as English. The English were not happy with this French dominance as they already had a Society called the Renal Association and objected strongly to the name. 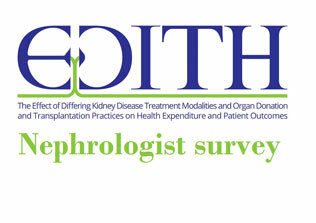 Consequently to pacify them, but also following the need to include all of nephrology, the name was then modified from EDTA to EDTA-ERA (this happened on the 20th anniversary of the society) and finally later to ERA-EDTA (on the 30th anniversary). But curiously enough in common parlance it remains EDTA as the acronym is usable in all European languages without difficulty and I believe was my suggestion. An EDTA council was elected for the first time after its foundation and Drukker was appointed as the first Secretary-Treasurer and Kerr as the first Editor of the Proceedings (see figure 2). Since for the first 9 years of EDTA papers were presented and published in French as well as English, Daniel Fries and Jules Traeger became the French co-editors. The first congress was a great success with guest lectures from Willem Kolff, returning for the first time to his homeland where he pioneered haemodialysis, and from Sergio Giovannetti on dietary control of uraemia and 52 presentations from Belgium, Denmark, France, Germany, Greece, Ireland, Italy, Netherlands, Sweden, USA and UK. 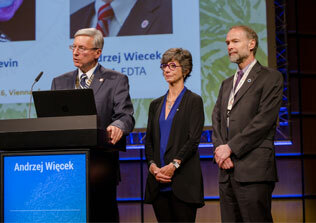 Drukker W.- The Founding of the EDTA: Facts and Lessons. Nephrol Dialysis Tanspl 1989; 4: 401-7. Andreucci V - History of the ERA-EDTA. Memoirs of a former President. Clin K J 2012; 5: 180-6.